Itchy, itchy, scratchy, scratchy – could I have something against that, please? Oh my sweeties… my hair and I, yes, we do love each other but sometimes, we just don’t understand each other, nonetheless. Just like in a good relationship, I would say. Because yes, my hair is super shiny, looks truly healthy and I get a lot of praise for it from friends and hairdressers alike. But, and that is a big BUT, I also have big problems with an itchy, dry and sometimes even flaky scalp. 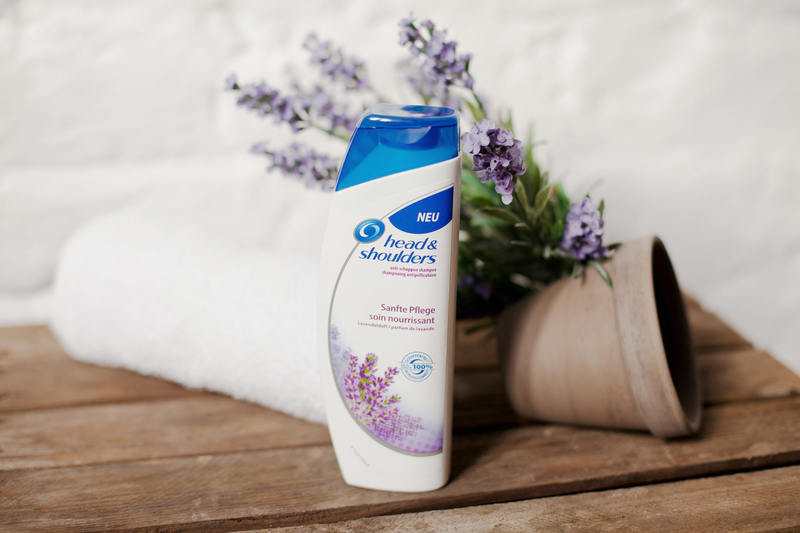 So I was more than happy, when Head & Shoulders asked me to try their new shampoo “sensitive care with lavender scent”. Oh man, I totally said yes right away. And it was perfect timing, too, because, thanks to all the dry heating air, my scalp was so itchy and dry, it really needed mending. 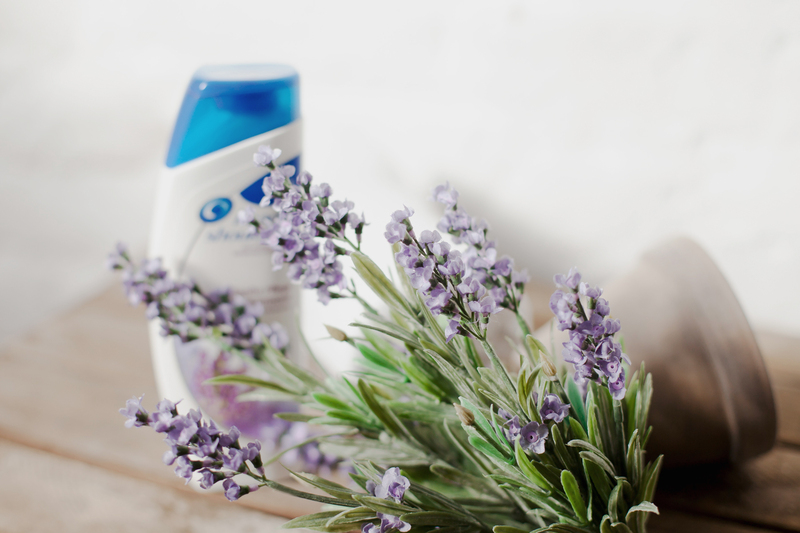 And then this lavender scent – another memory from my childhood. 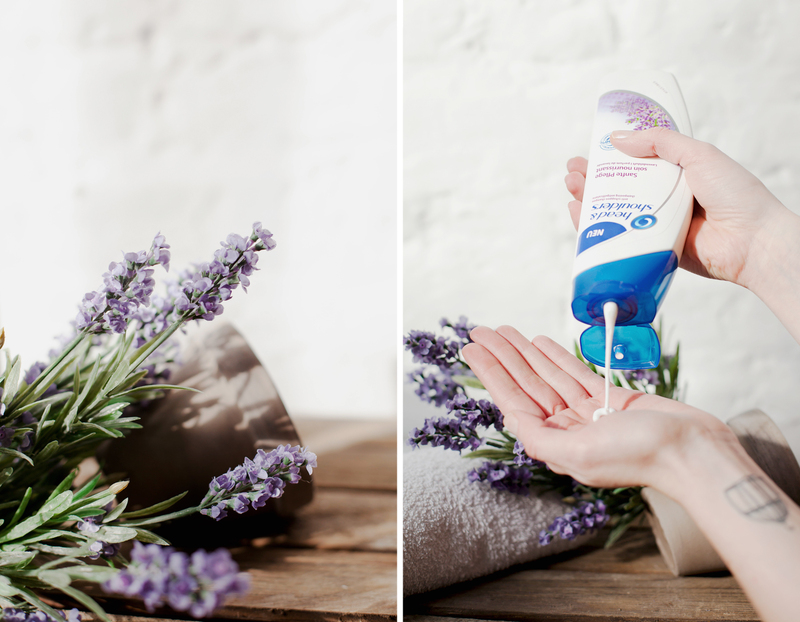 My parents have so much lavender in their garden… Yes, I was convinced by this shampoo super quickly. My hair turned out to smell lovely, feel super soft and the itching almost went away immediately. I was super happy. 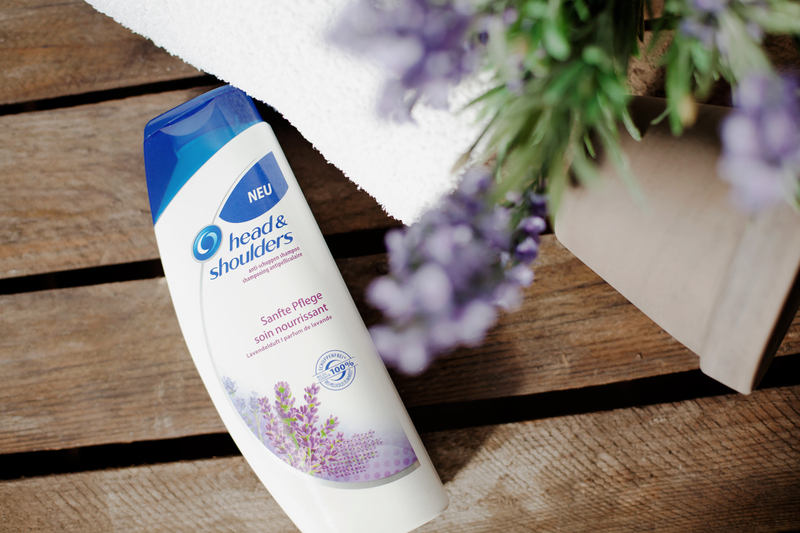 So, if you are looking for a really good, sensitive care shampoo, I’d suggest you try the new Head & Shoulders. And it’s no problem to just simply give it a go, it’s not too expensive, either! So, now that my scalp has calmed down, I just need to care about my body again. I couldn’t even sleep last night, because I was scratching my shin bones all night. It’s about time spring comes around so we don’t have to turn on the heater anymore! 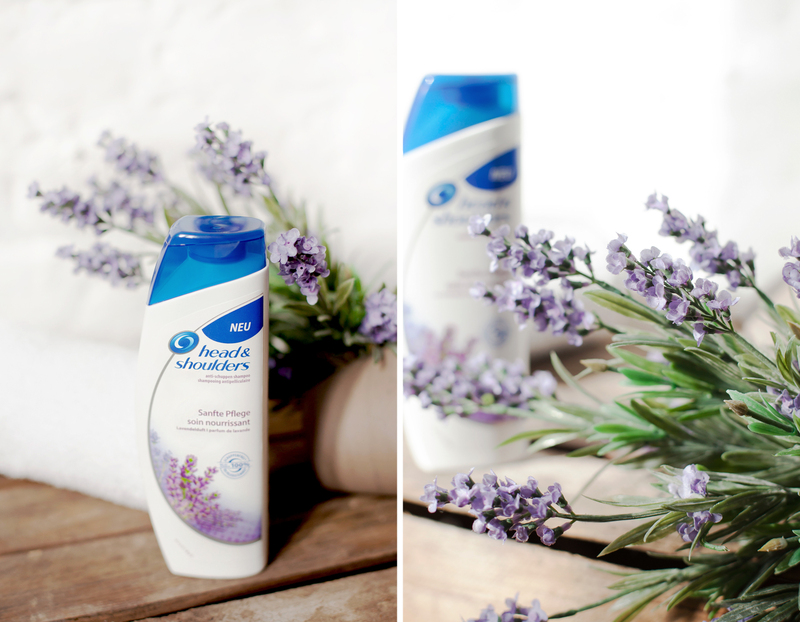 With lovely support from Head & Shoulders – merci! Tolle Fotos! Wunderschön in Szene gesetzt! Klingt super, werd ich mal ausprpbieren! Und das sind wirklich sehr schöne Bilder geworden.